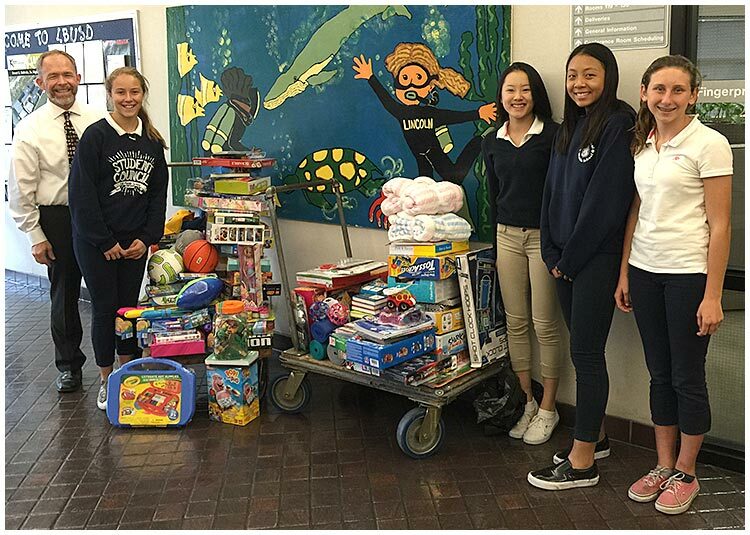 The student council at Hill Classical Middle School raised funds and donated more than $18,000 worth of toys to an annual toy drive. Superintendent Christopher J. Steinhauser accepted the toys from the Hill students at Long Beach Unified School District headquarters, where employees also donated toys. All of the toys were delivered to Miller Children's Hospital for young patients who were hospitalized during the holidays. TOY DRIVE – Superintendent Christopher J. Steinhauser, left, accepts toys from Hill Classical Middle School students. The toys were delivered to young patients at Miller Children's hospital during the holidays.